The Wyvern Theatre and Arts Centre are celebrating today having won not one, but two national awards for excellence in a recent awards summit. The event, held in High Wycombe, celebrated theatres from across the country that are managed by HQ Theatres and Hospitality Group - the second largest theatre operator in the UK. The Wyvern Theatre and Arts Centre were recognised for many different aspects including financial achievements, mystery visit scores, health & safety audit scores and public profile through marketing. 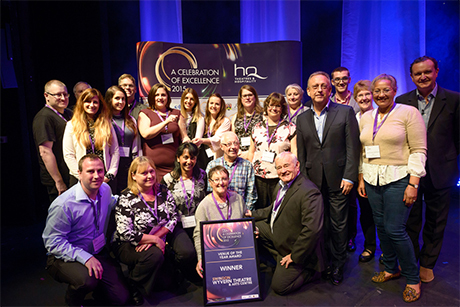 As well as topping the list of 9 national venues, Swindon’s premiere entertainment provider also took home the award for Best Team, recognising the successful integration of Swindon Arts Centre, which was taken over by the company in April 2014.